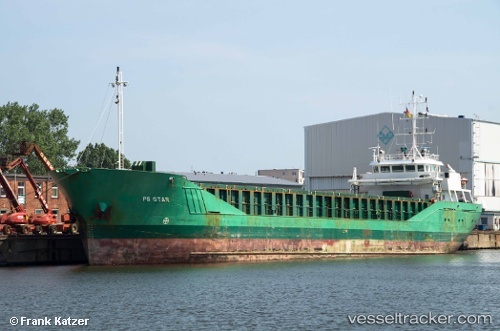 On Aug 29, 2012, at 06:45 a.m. the "BBS Star" was in collision with the Dutch cargo m/v "Snoekgracht" in the Kiel Canal at the pilot station Rüsterbergen after having suffered rudder damage short after having departed from the port of Rendsbrg by yet unknown reasons. The ship came off course and ran into the eastbound "Snoekgracht" which was suffered at the bulwark. After an investigation in the lock Kiel-Holtenau the "Snoekgracht" was allowed to continue its voyage to St. Petersburg. The hull of the "BBS Star", however, was damaged on a length of 50 metres on port side. The ship suffered water ingress and had to interrupt its voyage to Avonmouth after having reached Brunsbüttel where the cargo of grain was to be unloaded for thorough surveys.